A vegan restaurant in Michigan, where there was no boss and every employee made the same amount of money has been forced to close. Who could have foreseen failure with such a solid business plan? 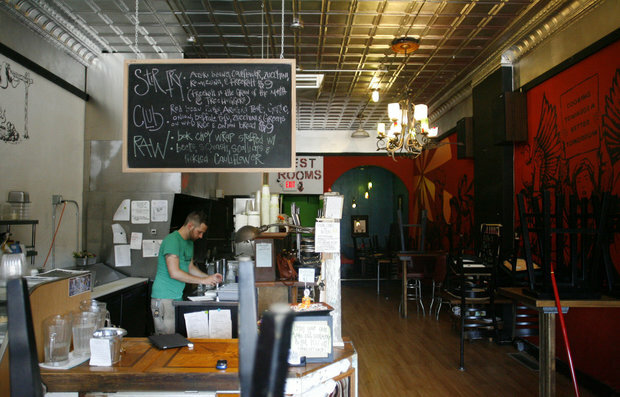 For much of its five-year existence, the eatery went by the moniker Bartertown Diner, until it was rebranded in September to The Garden Diner and Cafe. The offbeat 30-seat eatery announced this month that its last day would be Wednesday, Nov. 30. After a strong summer, the restaurant with about a dozen employees had struggled in recent months, said Thad Cummings. He took it over in March with Crystal Lecoy, who left two months later. Employees would be expected to join the union, Industrial Workers of the World, he said. In the end, the restaurant failed to achieve the employee business model it envisioned. Has anyone on the left ever read a single history book? They keep trying to reinvent a system that has failed everywhere it has ever been tried and thinking – This time we can make it work.